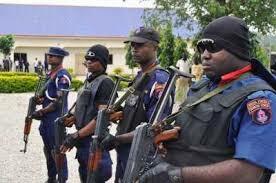 The Nigerian Security and Civil Defence Corps (NSCDC) in Borno State, on Tuesday decried the alleged recruitment of armed thugs for political campaigns in the state. Ibrahim Abdullahi, the NSCDC Commandant in the state, told the News Agency of Nigeria (NAN) in Maiduguri, the state capital that the command had noticed an influx of such thugs at campaign grounds. Abdullahi said the thugs were being used by politicians to intimidate opponents at political rallies. “Such actions by these politicians could mar the fragile peace recorded. The insurgents can equally disguise among them to perpetrate unsuspected attacks. “We, therefore, warn politicians that these nefarious activities are contrary to Section 227 of the 1999 constitution (as amended) and Sections 94 and 95 of the Electoral Act,’’ he said.